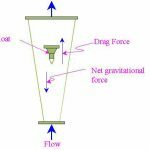 Home / Electronics Articles / What is electromagnetic flow meter? 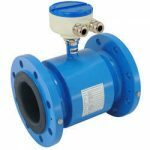 Electromagnetic flow meters are particularly suitable for the flow measurement of slurries, sludge and any electrically conducting liquids. A constructional diagram of electromagnetic flow meter is shown in above figure. 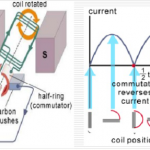 It consist of a pair of insulating electrodes buried flush in opposites sides of non conducting, non magnetic pipe carrying liquid whose flow is to be measured. It is surrounded by electromagnet which produces magnetic field. The fluid passes through this pipe. 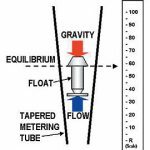 As the fluid passes, an emf is produced which is proportional to the velocity of flow. According to the faraday’s law.